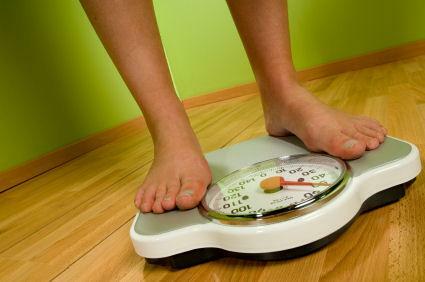 The calories needed to lose weight can vary dramatically depending on how much weight you need to lose. Losing weight is all about energy expenditure coupled with the amount of calories consumed, so if you increase activity as well as make smarter food choices, you can actually get away with eating more. When trying to lose weight, you need to eat fewer calories than your body is using through daily activity and metabolic function. Some people find success dieting just by cutting calories, but other people find that both cutting calories and increasing physical activity make it easier to lose weight quickly. When it comes to figuring out calories needed to lose weight, you have to factor in your current calorie and energy levels, how much weight you want to lose, how quickly and how much more energy you might expend through working out. All of this presents a rather delicate balance that can make it difficult to determine exactly how much you need to cut calories. While some people do quite well on a 1,200 calorie diet others who work out more may need something like a 1,600 diet to have enough energy to get through the day. While it might be a little tricky to determine personal calories needed to lose weight on your own, there are many online resources that can help. For example, Calorie Count has an easy-to-use calorie counter that factors in your age, height, current weight, goal weight and activity level to determine how many calories you can consume daily. You can also either enter a date by which you would like to lose the weight or allow the calculator to project when you will have lost the weight if you follow the plan. You'll note that most of these calculators suggest losing about a pound of weight a week. While it is certainly possible to lose more weight in a week if you really worked at it, this is a healthy pace and easy for most people to accomplish either through eating less or moving more. If you think about this last statistic, that cutting 500 calories a day can help you lose a pound a week, you can see that it doesn't have to be difficult to lose weight, especially if you are working out more in addition to eating less. If you burned just 300 more calories a day exercising you'll only need to cut about 250 calories from your daily diet in order to lose a pound a week. If you combine cutting calories and exercising more, you could lose two pounds a week instead of just one and meet your weight loss goals even faster. The main trouble with calorie counting as a means to lose weight is that we tend to underestimate how much we are eating or we may not know the calorie counts of food we eat out. Keeping a food diary can help track exactly what you're eating, or you can just replace high-calorie foods with more fruit and vegetables and you'll be well on your way to losing weight.